Albert Einstein: "Nuclear Power is one hell of a way to boil water." to top world records and radiation levels are increasing all the time. Think twice about the food you eat from the west coast and anything imported from Japan. 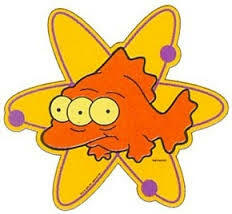 Fukushima, the disaster that keeps on giving, as I like to call it is just showing itself to be worse every single day. Levels in tuna are high, salmon the same. Very sad. How about nuts from California? Almonds seem effected. Why doesn't main stream news talk about this? Nuclear energy is America's baby. Our pride and joy which we exported around the world. Robert Oppenheimer declared "Now I am become Death, the destroyer of worlds" a quote from the Bhagavad Gita. Oppenheimer also understood by his own admission that nukes had existed in ancient times. Nuclear produced glass cities are found in India and the same glass is all over the Sahara desert from prehistoric times. There are no experts in nuclear accidents. No one has a clue about what to do and again I ask you what kind of mentality uses devices they do not fully understand for common technology? Oppenheimer admitted that when they tested at Alamagordo New Mexico they had no idea whether the entire atmosphere of the world would be ripped away. This is insanity at its worst. What kind of irresponsible moronic people decide that nuclear power and weapons are a great idea when they are totally uncontrollable, and there is no remedy for accidents, etc ? Yet this is the mentality ruling the world today. No, this is the mentality that has always ruled the world since the day Adam decided he knew more than his Creator. We are a pathetic lot. We must try to do better.